The Rebel Sweetheart. : My Top 10 Must-See Korean Movies. So you've seen the much talked about zombie apocalypse thriller Train to Busan, cried buckets over the hit melodrama Miracle in Cell No. 7, and perhaps ended up watching The Flu because this 2013 disaster film kept popping on your Facebook timeline. Now, your interest in Korean cinema has gone beyond curiosity. You've actually stumbled upon a whole new world of theatrics, and you're ready to get hooked to this awesomeness that is Korean movies. Allow me to help you, and let this list - arranged in no particular order - of must-watch Korean movies be your guide. The King and the Clown. The King and the Clown (2005). Set in the Joseon era, two struggling male actors, Jang-seng and Gong-gil, were arrested after staging a performance deemed to be a mockery of the king. The two actors were given a chance to spare themselves if they could make the king laugh, which they did - much to the court's chagrin. The charges of treason were dropped, and both actors were appointed as official court jesters. As the king showed particular interest in Gong-gil (portrayed by Lee Joon Gi), the king's mistress, the ministers, and even Jang-seng grew suspicious resulting into political unrest in the country. Adapted from a popular stage play, 'The King and the Clown' is one of the highest grossing films in South Korea. This movie also earned Lee Joon Gi the title 'flower boy' and catapulted him to stardom. Based on real life events, this movie stars Kim Sang Kyung as Kang Min Woo and Lee Joon Gi as his brother Kang Jin Woo. A student of the Chonnam National University, Jin Woo and his classmates staged a protest against the extended martial law which closed universities and curtailed press freedom. Upon orders from General Chun Doo Hwan, government troops attacked the rallyists, which resulted into a bloodbath with more than 600 people dead. The movie is based on the Gwangju Uprising, which took place on May 18, 1980. 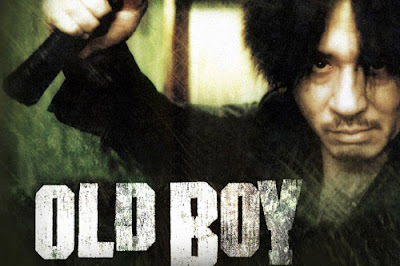 A powerful movie of punishment and vengeance with a hauntingly twisted plot to boot, Oldboy is the dark and disturbing story of Oh Dae Su (portrayed by Choi Min Sik), who was abducted for reasons unbeknownst to him. A small television in his prison cell was Oh Dae Su's only means of contact with the outside world; his only source of sustenance, a daily supply of fried dumplings. He lived this way for fifteen years, until the day he was finally released from his solitary confinement. With a wad of money and a mobile phone given to him by a beggar on the street, Oh Dae Su looks for his wife and daughter while trying to plot revenge against his captors. 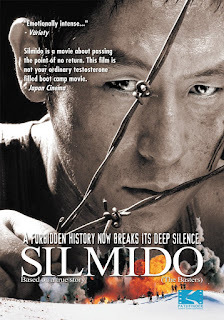 Heralded as one of the best Asian films ever made, Oldboy also has around a dozen or so awards to its name - including the Grand Prix at the 2004 Cannes Film Festival. This neo-noir thriller has an American remake released in 2013, and was directed by Spike Lee. Anyone who has seen My Sassy Girl will most likely agree that this movie is, beyond the shadow of a doubt, the most beloved Korean rom-com of all time. I love this movie so much that I've watched it countless of times - to the point where my DVD has been scratched beyond readability. My Sassy Girl tells the story of Gyun-woo (Cha Tae Hyun) and the sassy, unnamed girl (Jun Ji Hyun), who was drunk and dazed when he first met her on the train. Gyun-woo was forced to take care of the girl after she passed out, as the other passengers were berating him for not taking care of his girlfriend. This was a misunderstanding of course, but he went ahead and took care of her anyway. From this point on, Gyun-woo began to develop a sense of responsibility for the girl. As his feelings grew, so did his ability to (hilariously) endure all the hardships in loving a girl who has been broken and scarred by a previous relationship. 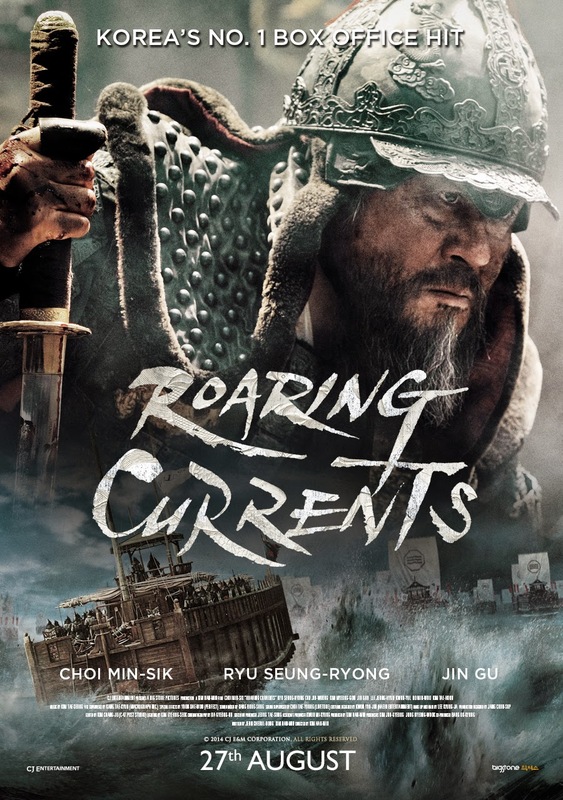 One thing I love about the Korean movie industry is their knack for historical/period films and how they can make a blockbuster out of it. Case in point, Silmido, which attracted an audience of over 10 million - the first-ever film in South Korea ever to do so. Based on the true story of Unit 684, a unit created in April 1968 to retaliate against North Korea following the North’s attempt to assassinate President Park Chung-hee. The men recruited for the special unit were outcasts, ex-convicts and prisoners on death row, chosen by the South Korean government to extract vengeance by murdering the North Korean leader, Kim Il Sung. The main incentive for the thirty one ex-criminals was to wipe their criminals records clean and start a brand new life as promised by the government. This promise failed to materialize, as an unfortunate incident led to the men's revolt against the president, Park Chung-hee. The government declared a state of emergency as the armed men seized buses and rampaged their way through police blockades, which claimed the lives of police officers and innocent bystanders. Tae Guk Gi: The Brotherhood of War (2004). 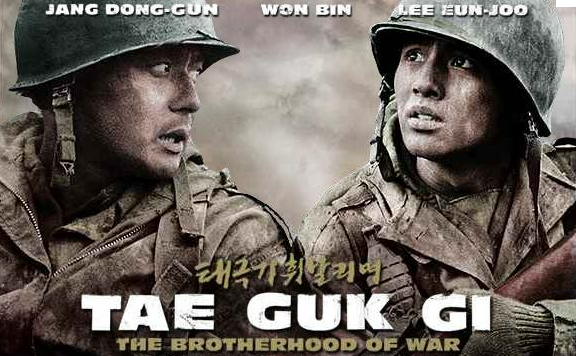 Drawing a record of more than 11 million admissions, Tae Guk Gi was the film that broke Silmido's box-office record. A heart-breaking tale about two brothers forced to fight in the Korean War, the film stars Jang Dong Gun as Lee Jin Tae, the responsible older brother who shines shoes so he could send his younger brother Lee Jin Seok (portrayed by Won Bin) to the university. When war between the North and the South broke out, the family escaped to a relative's house in the country, but along their journey, the brothers ended up being drafted. 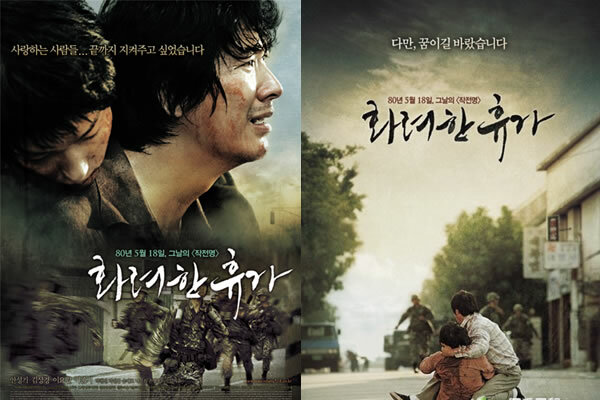 Jin Seok is forced to join the army to fight in the front, and Jin Tae enlists too to protect his young brother. The commander promised Jin-tae that he will release his brother if he could earn a medal of honor, which made Jin-tae the aggressive, fearless soldier in the company. As the war progressed, the relationship between the two brothers deteriorated, and both of them ended up fighting on opposite sides of the war. The Admiral: Roaring Currents (2014). The last historical film on this list currently holds the title of being the most watched and highest grossing film of all time in South Korea. Released in 2014, the movie is based on the historical Battle of Myeongnang, led by Korea's most popular war hero, Admiral Yi Sun Sin. The battle is regarded as the Admiral's most impressing victory as he lead a fleet of 12 ships against the Japanese invaders with a fleet of more than 300 vessels. 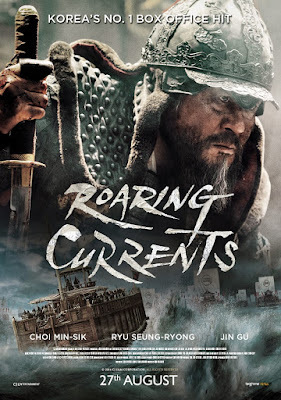 Choi Min Sik, the same actor who played the lead in Oldboy, also played the role of the Korean naval commander in this film. The Man from Nowhere (2010). Won Bin may be staying out of the limelight a little too long, but he will always be remembered as Ahjussi, or The Man from Nowhere. Released in 2010, The Man from Nowhere is a hard-hitting action thriller about Cha Tae Sik, a special agent turned pawnshop keeper whose only friend is a little girl named So Mi. Her mother, Hyo Jeong, smuggles drugs from a drug trafficking organization, hides it in a camera bag, and then pawns the entire bag to Tae Sik without letting him know of the actual contents. The smuggling was soon found out, and the traffickers kidnap both Hyo Jeong and So-mi. The gang promises to release them if Tae Sik makes a delivery for them, however it is actually a ploy to eliminate a rival drug ring leader. When Hyo Jeon's disemboweled body is discovered, Tae Sik realizes that So-mi's life may also be in danger. Tae Sik, enraged at the thought that So Mi might end up dead, prepares for battle and risks his life to save his only friend. Set in 1986, Memories of Murder chronicles the Hwaseong Serial Murders - the first serial killer case in South Korean history. The victims are all beautiful young women whose bodies have been found raped and strangled in local fields and ditches. The initial agents who have been put on the case are two incompetent bunglers - one a dropout from college, the other a dropout from high school - who seem to have gleaned the majority of their investigative techniques from cheesy TV crime dramas. A detective from Seoul was sent to assist the duo, and together they try to piece together the clues with hopes of finding the suspect. 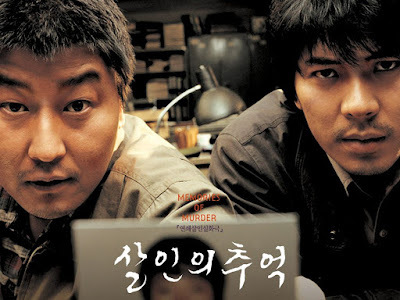 Memories of Murder was a huge box-office success in 2003, and even received screenings at international film festivals such as the Cannes Film Festival, the London International Film Festival, and the Tokyo International Film Festival. This true-to-life case of the Hwaseong Serial Murders has also been depicted in two Korean dramas - Gap Dong in 2014, and Signal in 2016. 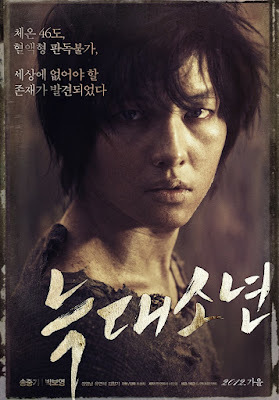 Concluding my list of top 10 must-watch Korean movies is A Werewolf Boy, the hit romance fantasy film from 2012 which stars Park Bo Young and the world's favorite captain, Song Joong Ki. The story begins with an elderly woman reminiscing about the past as she visits an old house in the country. Forced to move to the countryside due to problems with her lungs, Soon Yi (Park Bo Young) discovers that there's a lot to adjust to in this new environment, including a feral boy whom she found in the barn. Soon Yi's kindhearted mother adopted the boy, despite his animalistic behavior and his inability to speak, read, or write. Although Soon Yi was not happy at the thought of living with Chul Soo (the name given to him by Soon Yi's mom), she eventually warmed up to him and began teaching him social skills and other human behavior so that he could one day live like a normal man. As she opened her heart to the innocent boy, he began to develop feelings for Soon Yi, the only person to ever show him affection. However when threatened, he let loose his bestial instincts and became the subject of the villagers' fears. In order to save the life of the boy who risked his to be by her side, she left him with a promise: "Wait for me. I'll come back for you." Several of these movies sound really good. I am especially interested in the movies about the serial murders. Thanks for the recommendations! This si very interesting I enjoy international movies however have not seen a movie from Korea. Your choices look very enticing I will need to check them soon. These all sound amazing! I don't watch a lot of foreign movies but it would be awesome to check some of these movies out. Koreans are very good with the story lines that they have for their movies and series anyway. Some of these movies look really interesting. I really enjoy a good action or suspenseful film from time to time. 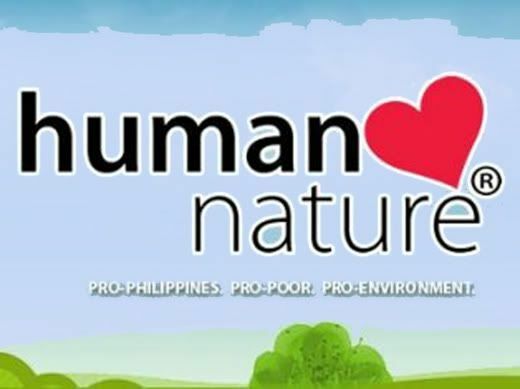 These movies are must-watch! I want to watch all of them, I love Korean movies! My sassy girl is one of my all time favorite movies! I love all of these. Honestly I have never watched any Korean movies before, but these sounds like a great list to try out. The ones I would love to watch are 'The King and the Clown', 'Silmido' & 'Roaring Currents'.